The Arctic Science Partnership is in the high Arctic studying polynyas. A polynya is an ice-free site in an otherwise ice-covered area. This particular polynya studied is located outside the Young Soundfjord in NE Greenland and is maintained by high winds blowing the newly formed sea ice away from the area. Not a place you would normally want to be. But for this small team of scientists studying ice and ocean processesthis is heaven. We are a small team of 7 persons from Canada, Greenland, Denmark, Russia and Germany. Our field station is now up and running – we have food, heat, drinking water (melted snow) and power available for our science. All equipment is now prepared for deployment. Several new things will be tried. Today a team of two airboats got into the inner parts of the fjord that is now covered by 25 cm of sea ice. They brought equipment, fuel and tent for installation of various moorings. Moorings measure current velocities throughout the 350 m deep-water column. It is an Acoustic Doppler Current Profiler (ADCP). In addition, a Conductivity Temperature Depth (CTD) profiler will make profiles of temperature and salinity conditions every hour until we get here again in spring. Also mass balance buoys equipped with weather stations, ultrasonic sensors etc. enabling the measurements of weather conditions, snow and ice depth as well as temperatures within the snow and sea ice. Many of the data will be transmitted to satellites and received by our colleagues in warm offices back home. This afternoon we deployed the same systems in the center of the fjord where sea ice conditions are thinner (10-15 cm). A new device called the HARP will also be deployed for the first time in the field. It is a device measuring salinity and temperature conditions at high resolution in the sea ice. We call it the HARP because it looks a little as a harp in a symphony. A smaller version was deployed at the Sea ice Experimental Research Facility (SERF) in January and it proved very successful. The idea is to make cheep versions that in the future can be deployed multiple places in the Arctic Ocean andcontinuously transmit data on sea ice thickness, drift patterns, temperature and salinity conditions within and below sea ice. The coming days we will deploy the last two moorings very close to the ice edge of the polynya and cross our fingers that they will stay here until we get back again in spring. Light is disappearing fast now and we have to get out within a week because it is not safe to land with the small twinotter airplanes on our short runway when it gets too dark. So far we have been lucky with the weather. When we arrived sea ice was only patchy distributed in the fjord. Due to dropping air temperatures and calm weather sea ice has now formed almost everywhere in the fjord. In places up to 25 cm. Further out of the fjord there are still open water though. Next year the Arctic Science Partnership will have 100 scientists working in the area from April to November. 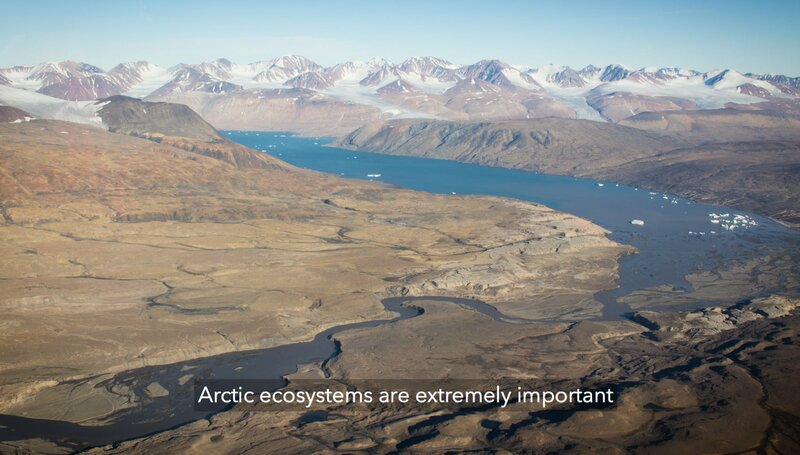 They will cover different science disciplines working in a range of environments ranging from the atmosphere, glaciers, sea ice, rivers, lakes, land, permafrost, fjord and sea floor to increase our knowledge on arctic processes and climate change.